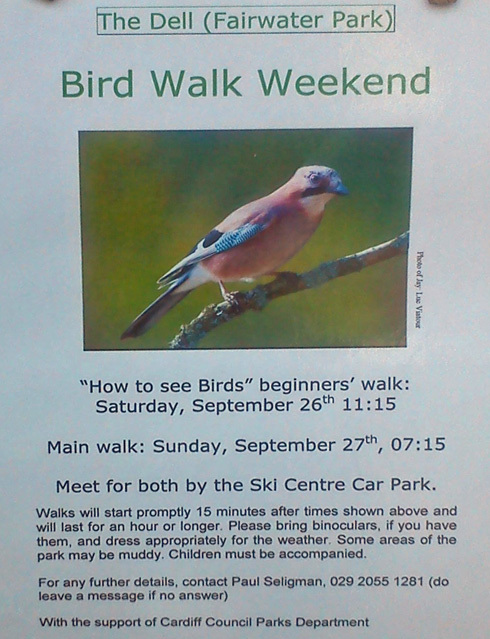 There’s a weekend of birding walks in the Dell in Fairwater on the weekend of 26 & 27 September. Paul Seligman is the main contact. He’s well-known on Twitter (excuse the pun) as an expert birdwatcher. 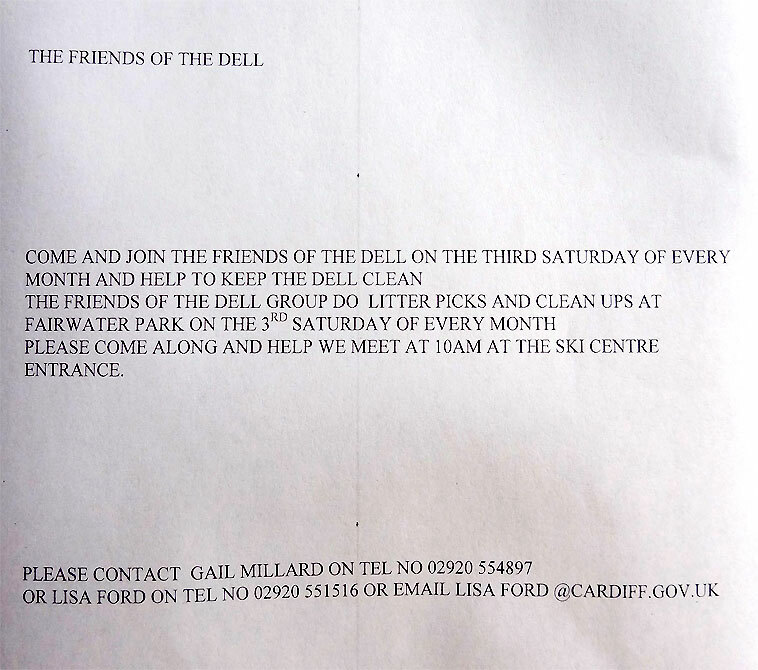 The Friends of the Dell is a group of volunteers which comes together on the third Saturday of every month to help to keep Fairwater’s Dell nice and clean. The Group meets at 10am on the third Saturday of every month at the Ski Centre. You’re welcome to join in and help too. For more details contact Gail Millard or Lisa Ford on the numbers or email addresses shown on the poster.